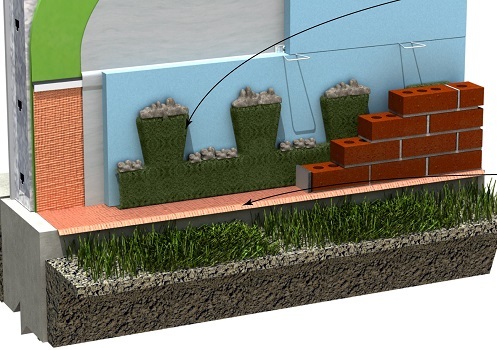 Weep-Net™ is a free draining mesh material that will not degrade in the cavity wall and is made of polymer strands. 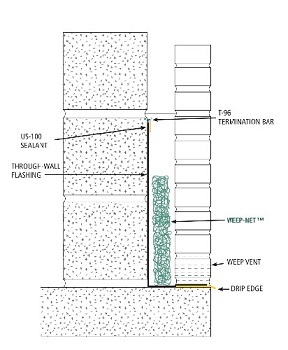 The dovetailed design is 10″ high and the dovetailed slots are 7″ deep, which prevent mortar droppings from clogging the weep vents if the material fills the entire air space of the cavity wall. Weep-Net™ is packaged in bundles of 20 pieces each, with no wasteful cardboard boxes.